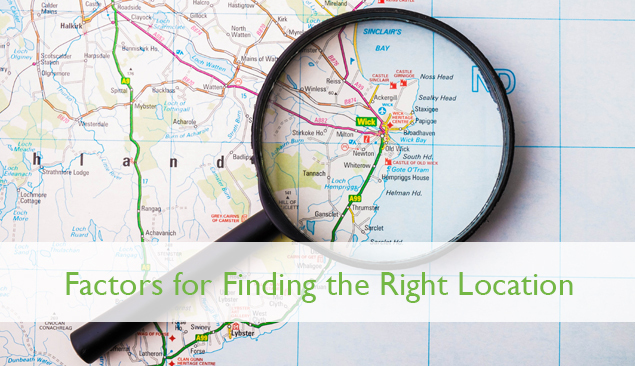 With a wealth of information available online, straightforward searches can reveal vital information about locations. Details about susceptibility to flooding or local pollution, as well as current planning applications affecting a locality, such as housing or industrial developments, are available. Even though more checks will follow once conveyancing is underway, it is certainly worth researching a potential locality for yourself, in order to rule out unsuitable areas. Proximity to transport links, as well as availability of public transport, can be important when considering where to buy. Needing to commute to work may be a factor, and having a railway station nearby, or a reliable bus service, can be helpful. Being close to major arterial roads, such as having easy access to the motorway network, may be useful. Having an airport within a two hour car journey can also be beneficial. Having good quality local amenities can make a location more appealing. These may include a choice of GP and dental surgeries, as well as a local hospital with an Accident and Emergency department. Access to high street banks and shops, as well as having a local library, can be of high importance when considering where to buy, as well as having gym and sports facilities nearby. Having areas of public open space to walk dogs or take children to play may be desirable. Researching the reputation of local schools and colleges can be important. Checking league tables and exam results for primary and secondary schools, as well as opportunities for further education, can influence a decision about where to buy your next home. It is worth considering how important living close to family and friends is to you and your family. Taking a decision to move away from loved ones can have a greater impact on you and your family than you might realise. Whilst finding the perfect location may prove to be a challenge, it is important to decide what is most important for you. Undertaking research into a location is strongly recommended before you begin to look at individual properties. Carefully considering these points, and making an informed decision, will help you to choose the right location and make the right move.